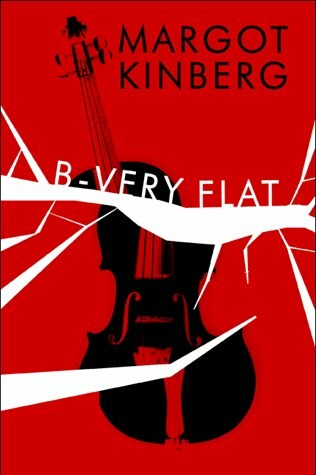 A violin virtuoso dies mysteriously on the night of a big performance, and police detective turned Tilton University professor Joel Williams investigates in this engaging mystery. Serena Brinkman is nineteen years old and seems to have the world at her feet: she's an undergraduate violinist and music major at Tilton University with good looks, good friends, plenty of money, and a phenomenal musical talent. But the very things that give her such a good-on-the-surface life also put that very life in grave danger. Margot Kinberg eschews the standard 'early murder, investigation starts quickly' format of most crime fiction, instead taking time to draw us into the world of Tilton University and its students and faculty. We meet Serena and the friends, lovers, roommates, teachers, and others who orbit around her. For some readers, this may make the novel seem slow-paced, but there's something absorbing about the way Kinberg crafts the cast and setting, building simmering unease; all is not well and something wicked is on the way. Serena has a valuable violin, an obsessed fan, and a musical rival - as well as knowing plenty of secrets about her various friends and followers - so when tragedy strikes on the eve of her major music competition, Serena's partner Patricia is sure it wasn't accidental. She enlists Dr Joel Williams, formerly a police detective and now head of Tilton University's Department of Criminal Justice, to her cause. Over the latter part of this elegantly written mystery, Williams delves into Serena's life and uncovers plenty of question marks, providing a unique bridge between the university and its local police department. Williams had earlier appeared in Kinberg's debut, PUBLISH OR PERISH, and he's a likable and interesting recurring character for readers to follow. For those who often read the fast-paced, dark and gritty crime novels that dominate bestseller shelves nowadays, Kinberg's tale may seem slower or lighter, but there's a lot on offer here, almost a nod to the cozy mysteries of the Golden Age, just in a modern setting. Absorbing and intriguing with a wonderfully drawn world, B-VERY FLAT is a great read. Oh, Craig, this is very kind of you *blush* Thank you :-) Glad you enjoyed it.